You are here: Home / Family Matters / Does Your Child’s Teacher Do This? It Does Take a Village! Does Your Child’s Teacher Do This? It Does Take a Village! Manic: Raising kids and working with the different caregivers that our children are matched with, like our teachers, coaches, tutors and more. Managed: Working together with them because I do believe that it takes a village! And there is one outstanding teacher that both of my children have been privileged to have that I want to tell you about. Local long-time Kindergarten teacher Michelle Willis has been a gentle force in our community who does all the right things to provide that incredibly important foundation that must be laid in the all-important Kindergarten year. Trust me, I speak from experience with my two kiddos! 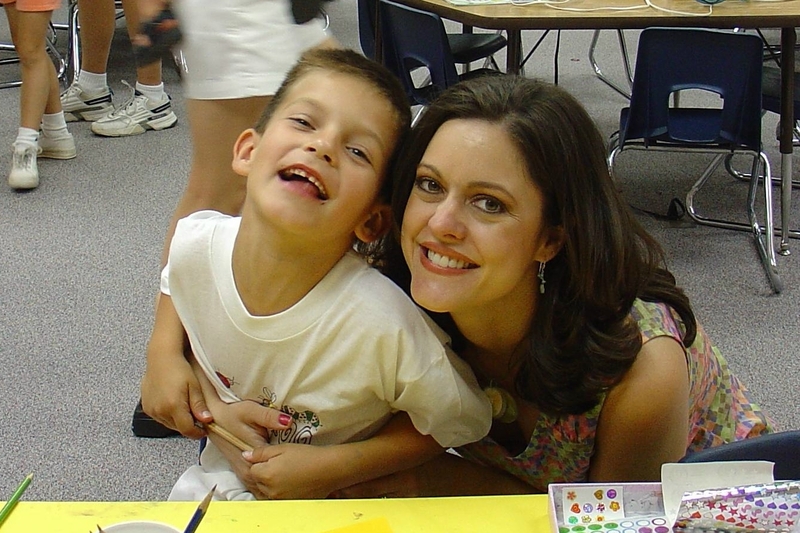 Many years ago now....me and my boy in Kindergarten! First my son, who is a now a 5’8 tall teenager (how did that get here so fast?) who makes all A’s in advanced courses. I’m convinced that Michelle Willis played a big part in his future success because about halfway through his Kindergarten year, she made a smart move. Mrs. Willis took me aside and told me that although our son was doing well in class, he was starting to act up and act out and that together we should work to nip it in the bud! That was the day that I truly understood what the phrase “it takes a village” meant. So my husband and I scheduled a meeting with Mrs. Willis and then we took her advice. She advised us to change our after-school care plans if possible, because she felt that the after-hour care he was receiving was making him hyper-active in class. I would have never thought of that! So we did and we found a wonderful caregiver that took care of him until we returned home from work. Mrs. Willis’ instincts were right on because the rest of the school year was smooth sailing, thank goodness! Other recommendations made by Mrs. Willis that benefited our boy was enrolling him in the school’s Chess Club and challenging him with advanced coursework and creative projects since he showed an aptitude for that. And wow…this fall he starts high school and was placed in all advanced honors courses. I’m so glad that we listened to Mrs. Willis and worked together to create a supportive environment, both in and after school, that would lay that foundation for the amazing success that he has had through his school years. 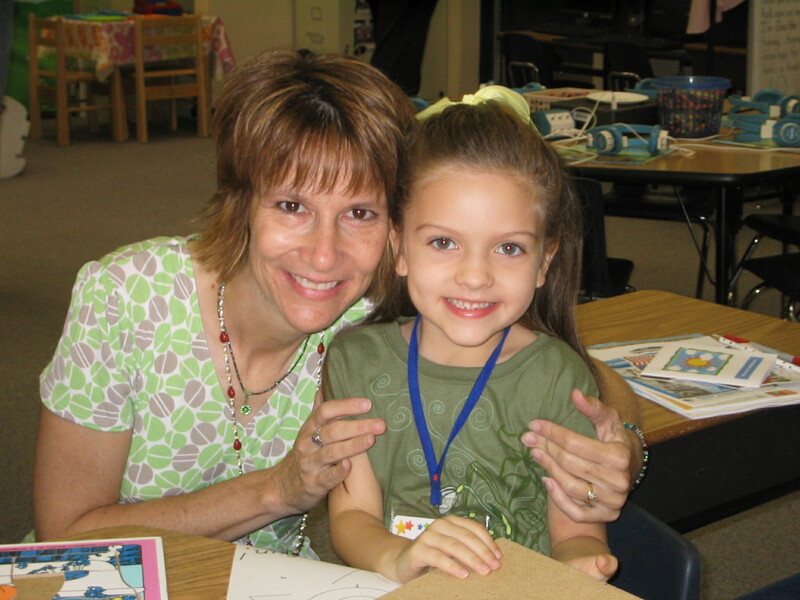 This is an old picture now....her first day of Kindergarten with wonderful Mrs. Willis! From the start, I told Mrs. Willis that our girl would be a “different customer” from our son! And several months into the school year, she proved us right! In one day, she broke six school rules with misbehavior that included pushing a girl off a swing because she wanted a turn, playing in the big kids’ side of the school’s playground, hiding under the desk in class and the worst offense of all? Are you ready for this? She crumpled up the sad note (as Mrs. Willis labeled the unfortunate note that goes home to the parents) and tossed it right at Mrs. Willis. And this was happening as Mrs. Willis carried my darling, kicking and screaming, to the school bus! Yikes! I was mortified, but I was also thankful that Mrs. Willis had been our teacher four years earlier, so she knows that we are “good” parents who teach our kids not to do the things that our little princess had done that day! At least, that is what I kept telling myself as we scheduled another meeting with the teacher! So, again we worked with Mrs. Willis to “nip the bad behavior in the bud” with consequences that we all agreed on. These consequences included apology letters written by our girl to those she had offended, plus she was grounded from the big school 50’s dance that was happening that next weekend! Up until now, I truly hadn’t felt just how hard it is for us parents to disclipine our kids…the punishment is both hard on them and on us! And when the big dance day arrived, her beautiful 50’s poodle skirt that we had purchased for the big event hung unworn in the closet while big brother, now a 4th grader, slicked his hair back and told her goodbye as he headed out the door to the dance that her poor choices caused her to lose. I think I felt the sting as much as she did! Mrs. Willis later emailed me to tell me that our little girl, Lexi, had told her that she “didn’t like consequences” and although it was tough, I was happy to know that Lexi was learning exactly what the word consequences meant and felt like. Leaning that early is a good thing in life. I can tell you that the rest of the year went very smoothly. Not only did we nip the bad behavior in the bud with consequences, but Mrs. Willis discovered a passion that our Lexi has…performing. So when her class put on a play to help learn about language arts, she cast Alexis as the lead singer in a darling song. And Lexi has been performing ever since, even singing the National Anthem a few weeks ago at a big Phoenix event. And now Lexi will be heading to middle school in a year and her grades are strong and her behavior in school has been very good. Mrs. Willis also provided tutoring sessions to both of my kids in the summers and she has attended almost all of Lexi’s plays in the last five years. She has truly made a difference in my kids’ lives and I believe that she is a big part of their success and maturity now! So the good news is that Mrs. Willis is opening her own school! If you live in Phoenix, you’ve got to know about this big event! Along with another excellent teacher that many of my friends rave about, Julie Fischer, these two outstanding teachers are following their dream to open their own school called Magical Journey Learning Center. It will be located in Ahwatukee and it opens this Fall! Plus they are offering some very cool summer camps! Magical Journey Learning Center will provide creative learning instruction for Pre-K children and private Kindergarten classes for parents looking for a low-student ratio with enrichment programs that include Spanish. For more information and to see the recent article about Magical Journey Learning Center that was just published in the Ahwatukee Foothills News, visit the school’s website. 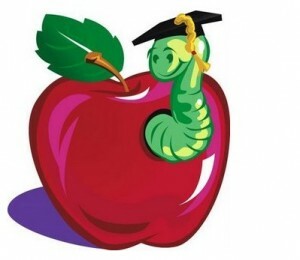 Simply click here on Magical Journey Learning Center and you will be linked to the website. I’m wishing Michelle Willis and Julie Fischer all the best as they embark on their dream and open the doors to the Magical Journey Learning Center. And I’m happy for the families that enroll at this new school because I can tell you first-hand that it does take a village, that laying that important foundation in the PreK and Kindergarten years are crucial and that I’m so glad that our Kindergarten teacher, Michelle Willis did just that for our family! Great article Rachel! I read about Michelle’s new school in the AFN. What a fabulous opportunity for Mrs. Willis and all the kids who will benefit. I too, have had two kids pass through her classes and think the world of her teaching skills. Thank you Michelle and best of luck with the new endeavor! Thanks Trisha! I agree and I’m wishing them so much success! Great post Rachel!! We had the privilege of having Julie Fischer for Kindergarten and couldn’t say enough amazing things about her as well! She was the very first teacher our family had at Cerritos back in 1997 and boy were we “wowed”!! I know their business is going to be fabulous and those lucky families who get to experience what our families did long ago will be so thankful!!! Best wishes to Magical Journey Learning Center! 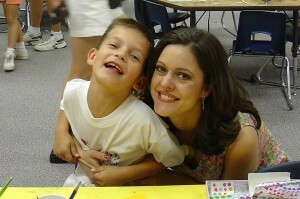 Almost makes me long for another Kindergartner…well not really lol!!!! LOL Monica! You are so funny! Yes, Julie Fischer and Michelle Willis are amazing! I’m so happy for them …and for the lucky kids and parents who get to experience the magic at their new school!